The issue of climate change has been a controversial topic for centuries. While the blame game continues, with some pointing fingers at man’s activity for drastic climatic changes, science has also proved that natural phenomena like solar flares could also be a cause for climate change. 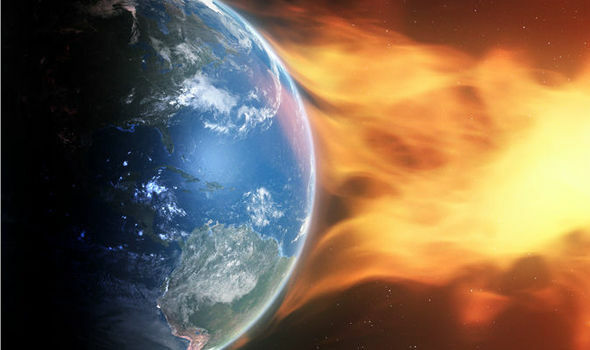 Due to intense magnetic activity there are instances where hot and gassy ejections are experienced from the sun’s corona; what is referred to as solar flares. Sunspots reach peak after every 11 years according to scientist. This Solar Maximum has doubled in recent years and therefore that means in simple terms that the sun is now glowing brighter than it did a couple of years ago. 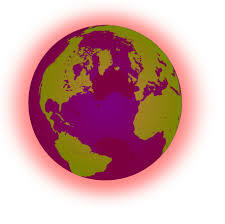 On the other hand, solar wind originates from the sun and is responsible for the atmospheric phenomena on earth. Some of these manifestations are visible to humans in form of light shows. Rising temperatures ever since industrialization began cannot be explained by solar spots. Scientist always believed that sunspots have been increasing the temperatures ever since the harsh weather conditions of the 17th century. However, this view was corrected and the current records now prove that there has been no such peak in solar energy. Thus, there is no direct link to sunspots with global climatic change. The fact is that the solar activity has been in a stable condition since 1700 as the global temperatures continue to fluctuate during this time. Previous calculations concluded that there was a close link between the solar activity and climate change. This relation came about as a result of low numbers of sunspots seen during the cold weather experienced between the 17th and 18th century. The early telescopes used in carrying out this study were limited in ability. This called into question the accuracy of the results of this study which showed a significant increase in solar activity for the past 300 years. Just about the time of the industrial revolution, many held that this was the main cause of these temperature fluctuations. Next Next post: What equipment does every photographer need?